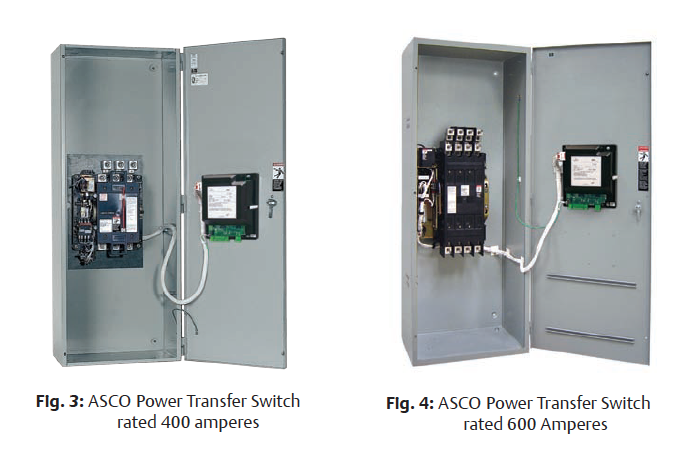 The ASCO Series 300 was designed to automatically transfer critical loads in the event of a power outage. It is also designed to handle total system loads including motors and other high inrush and inductive loads. The ASCO Series 300’s modular, compact design makes it easy to install, inspect and maintain– all parts are accessible from the front so switch contacts can be easily inspected. 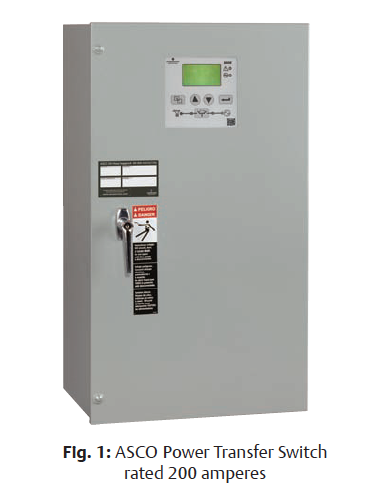 The ASCO Series 300 assure the user of many years of reliability through its rugged construction and proven performance. 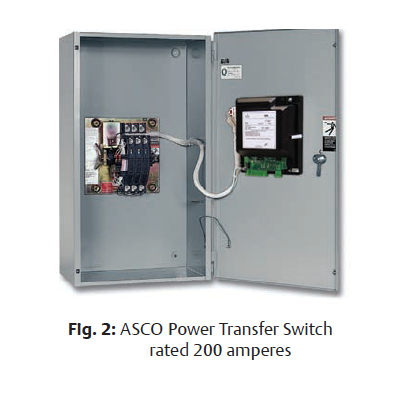 and CSA standard C22.2 for automatic transfer switches. 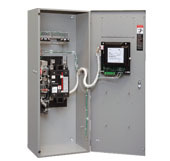 and the National Electrical Code (NEC) Articles 700, 701 and 702. Controller is RoHS compliant (Restriction of Hazardous Substances). 30 through 3000 amps in a compact design. True double-throw operation: The single solenoid design is inherently inter-locked and prevents contacts from being in contact with both sources at the same time. power to operate from the source to which the load is being transferred. Delayed transition operation is now available (Dual Operator Configuration). Non-automatic operation can be selected using the key pad without opening enclosure door. Relay expansion module with extra relays for accessory outputs (Optional). Includes soft keys for test function and time delay bypass as standard features. Password protection to prevent unauthorized tampering of settings. Field modification accessory kits available.